Agar is a plant based gelatinous substance derived from red algae/seaweed. It is sold in packets as washed and dried strips or in powdered form. It contains 80% soluble fibre and is a great intestinal regulator and is the natural body coolant. It sets in room temperature hence it is used to make jellies, puddings and custards. Seeds are edible. It is a pseudocereal because it is not a member of grass family. 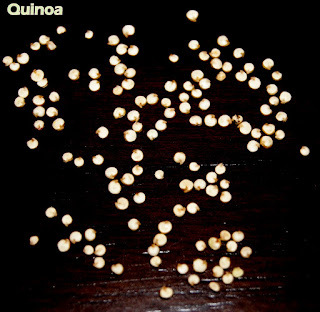 Quinoa grains contain amino acids (lysine), dietary fiber, calcium, magnesium, phosphorus and iron. Quinoa is gluten free and hence easy to digest. Quinoa is the best source of complete protein. Flax seed is rich in Omega-3 Fatty Acids and fibre. It helps in lowering cholesterol level and protect against some cancers. Fruits are edible. They are aromatic. Used in the preparation of curries. It helps in indigestion and gas relief. Ajwain has many medicinal uses and used in ayurvedic medicines. It has antiseptic properties. 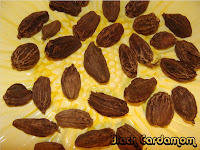 Black cardamom seeds are the important component of Indo-Pak spice mixture garam masala. It is used as a spice in preparation of Biryani and all non vegetarian cuisine. 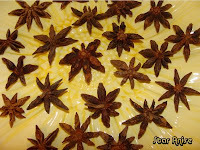 Star Anise is a star shaped fruit. It is widely used in Chinese and Indian cuisine where it is a major component of garam masala. 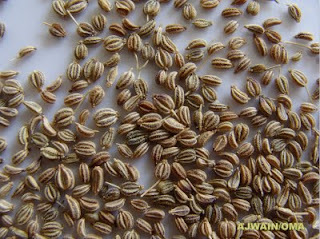 It is used as a spice in preparation of Biryani.